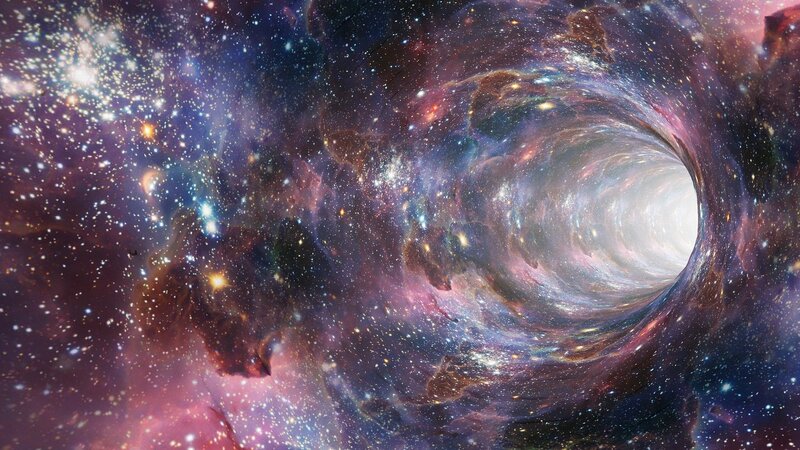 A wormhole is a tunnel that stretches between two realities – a shortcut of sorts. This Eclipse Wormhole feels like we’re in hyperspace, but I think that is our current reality these days, with events occurring at warp speed. It can be mentally exhausting, which is a good reason to slow down. We are still in last night’s Solar Eclipse energy of new beginnings (or endings, with Pluto in opposition), creating upheaval or issues around power. Stand in your power by taking actions toward something you want to create rather than reacting to external forces (real or imagined). It’s always a good idea to be intentional, but especially in frenetic energy. Mars is still Retrograde, which can create slowdowns in movement or throw up roadblocks when approaching something new. Patience, persistence and flexibility are called for in order to proceed. Align with the rhythm that’s present, as opposed to trying to push at your pace. Tune into your intuition to know when, how, where to move. With four planets Retrograde there’s an abundance of energy that supports clearing, cleanup, regrouping, revising and planning. Please use this fallow time and prep for when the energies shift and the tides turn in the fall. This weekend we have a Grand Trine in Earth, a harmonious flow between Venus (desires), Saturn (stability) and Uranus (change). What a gift! This supports grounded, methodical changes that can manifest your heart’s desires. Saturn anchoring the changes indicates the potential for results that last. Think about the actions you can take to advance your cause, as Saturn (structure) and Uranus (change) stay in harmony all week. In two weeks Mercury goes Retrograde (July 26), the day before an intense Lunar Eclipse of July 27. It’s going to get interesting. Have a vision for what you’re doing or where you’re going over the next few weeks, being aware of this. It’s a good time to create extra space wherever you can build it in – along with space for healthy relaxation, whatever that means for you. Trust your inner guidance to lead you forward and ask for help if you need it.